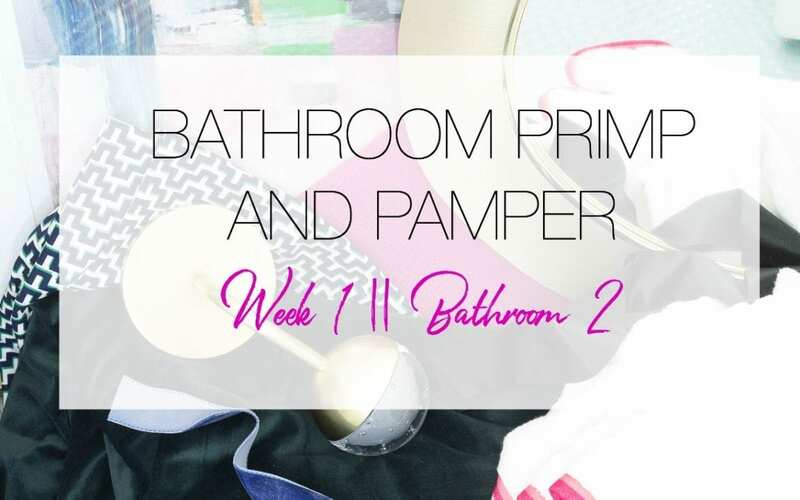 BP&P CHALLENGE | BATHROOM 2 | WEEK 1| A Bold yet Chic Bathroom Plan || Can a Hot Pink Bathroom REALLY Look Good? 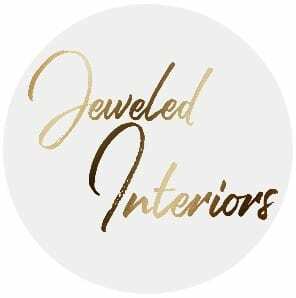 Welcome to Jeweled Interiors and the first week of the Bathroom Primp and Pamper Blog Hop. 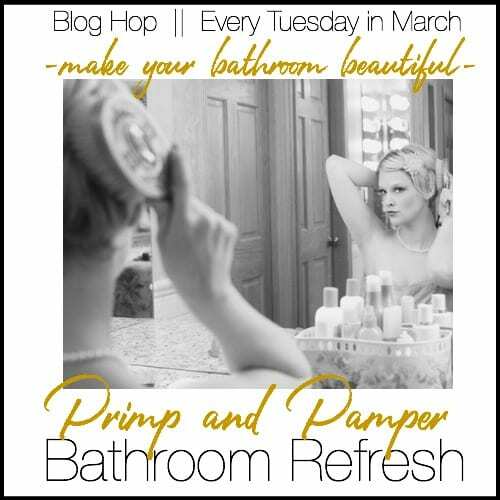 This blogging challenge is a reoccurring event that will take place EVERY TUESDAY in the month of March and includes over a dozen talented bloggers and stylists who will be bringing you stunning bathroom make-over inspirations. Some participants are adding little touches while others are rolling up their sleeves and diggin’ in. You are sure to find tips and ideas that will inspire and motivate! WOOT WOOT! 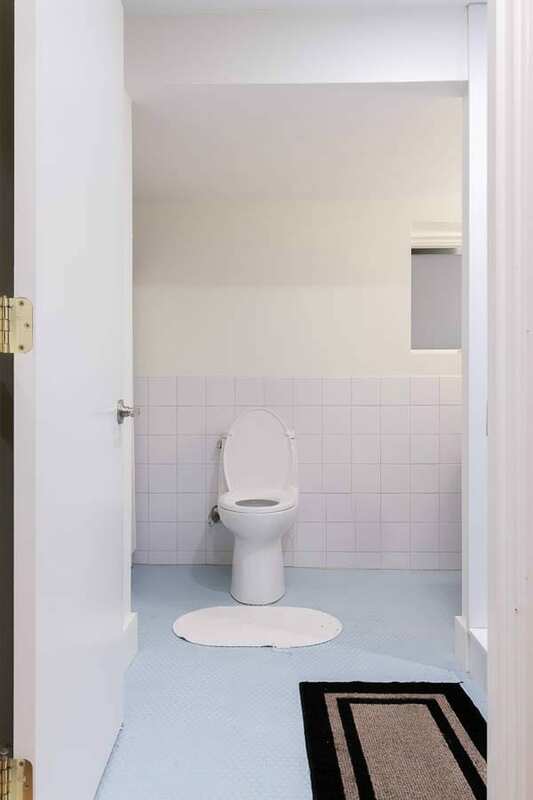 I am so glad that you have decided to pop on in to check out my SECOND of two bathrooms in this challenge. Yep, that’s right, I apparently have masochistic tendencies and have opted to throw the downstairs bathroom into the mix. What’s another bathroom, righ1?! 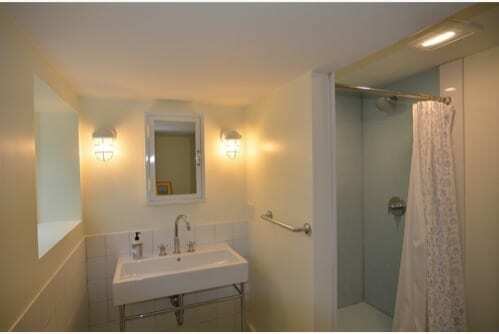 Click HERE if you want to see bathroom number 1. 1. As a military family we move…a lot…not even joking. 2. We are currently in a beautiful 10 month rental and I have a goal to finish decorating it with at least a month to spare before we move again 🤣. 3. Since we are preparing for our 13th move I have a lot of experience renting, owning, and setting up shop quickly, beautifully, and affordably. 4. Because we have lived all over (and because I have a craigslist problem) I have a lot of junk treasures from around the world. 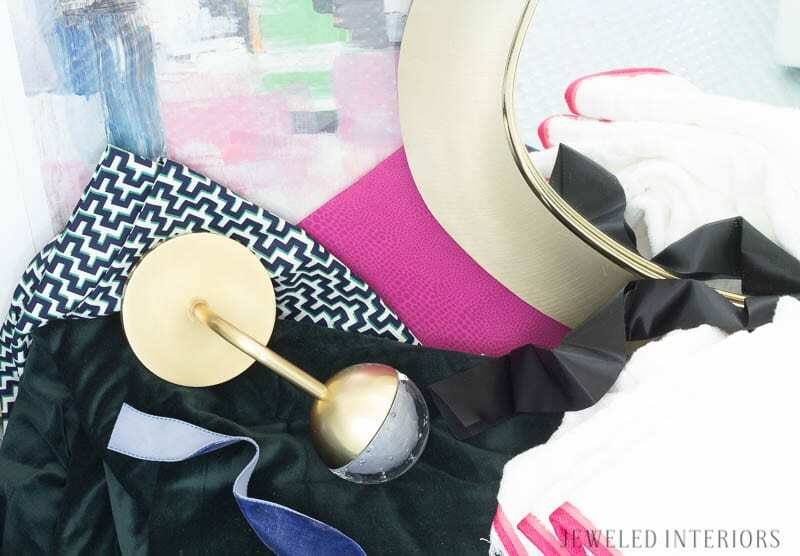 Thus, my home often feels gathered, but in a tailored and often glam, chic, or preppy way…depending on the day…and maybe what I’m wearing when I make my design plan🤣. 5.Within the last week I have revealed our Master Bedroom and Kitchen make-overs. After the blog hop feel free to come back and see all of the updates. Now enough about me…Let’s talk bathrooms! While Bathroom Number 1 will have a collected and almost global feel, this bathroom will have a bright, yet chic vibe. 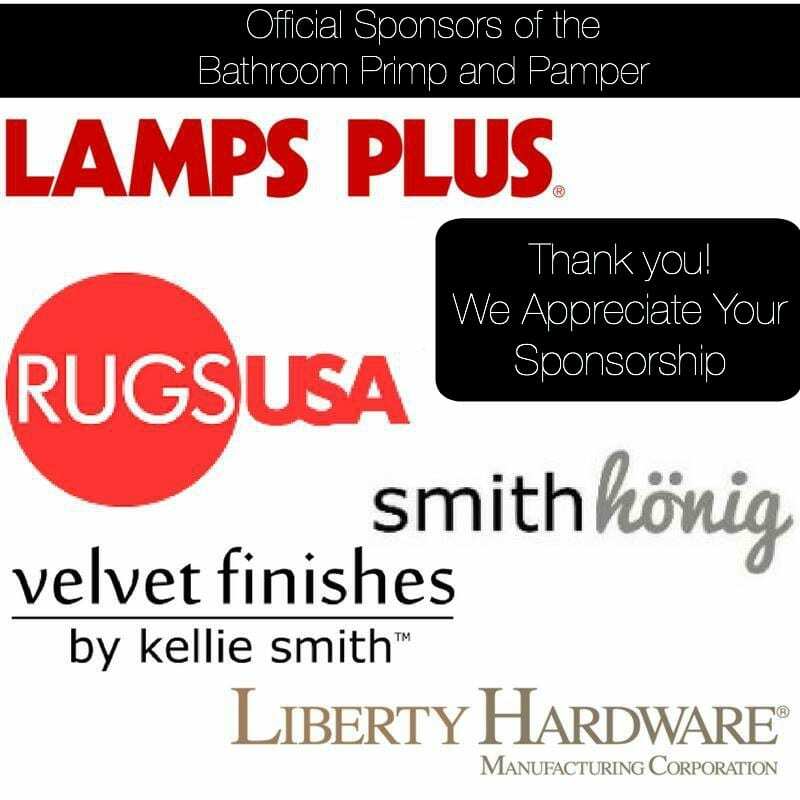 I sincerely appreciate the sponsorships we I received for this blog post. The opinions are 100% my own. I have this thing for velvet. You are probably wondering why in the world I am putting a velvet shower curtains in a bathroom, especially when spring and summer are aroud the corner. My defense? It’s nearing autumn and winter somewhere baby…like the southern hemisphere 🤣. I’m going to attempt to turn a pair of Ikea velvet drapes into lux shower curtains. Stay tuned for more deets. To tie the two rooms together I plan to use the same LampsPlus Hudson Valley Boca 9 1/2″ High Aged Brass LED Wall Sconce in each. Aren’t they just lovely!?! 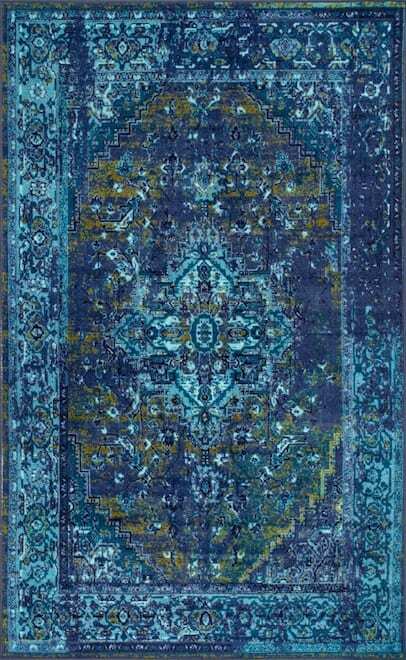 I have yet to completely decide upon a rug, but this one is a great contender. I may also consider a black and white rug if I can find the right one. Oh, so much to do and only the month of March to get it done. Can I do it? I’m going to give it my best shot my friends! 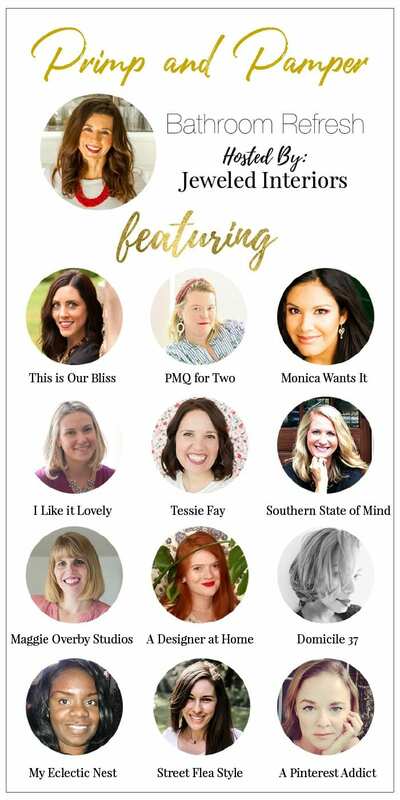 Ok, now head on over the the ever-so-talented Rachael B at This is our Bliss. I Can Not Wait to see what she has planned! Yep, LampsPlus brought it strong on this one! I look forward to getting them installed. I cannot wait! The color scheme looks similar to your living room! BTW, love the rug! Thanks Jess! Fingers crossed! It’s definitely a risk, but I’m in the mood to try something a little crazy. Awesome. Loving this one too. Great rug. 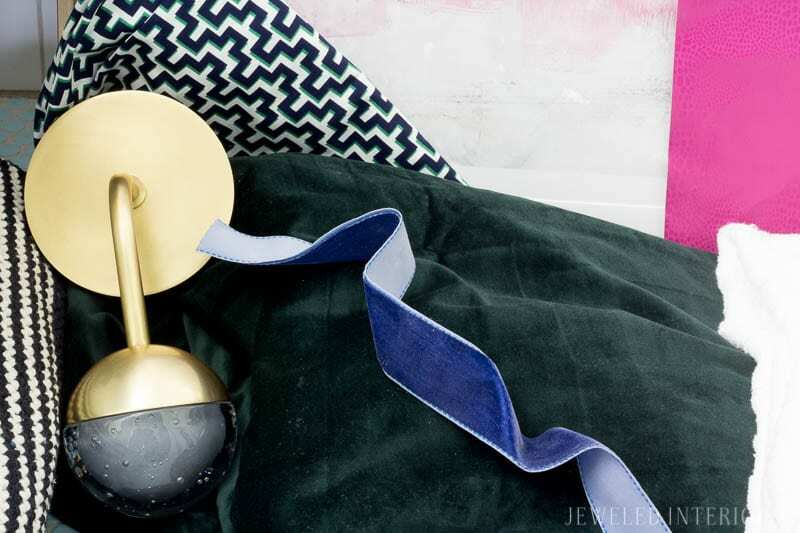 love your color choices and the matching sconces. I need to check those out!! They’re lovely! Thanks. I totally dig them! Hot pink wallpaper! Yaaaaassssss! This is going to be so fun to see come together. And I can not believe you are tackling all these huge projects so close to a move. 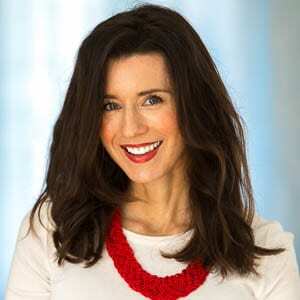 You are seriously wonder woman! Looks like they they really loved those Submarine lights in the bathrooms, It will be a great improvement just switching those out! Yes! I think it’s because it’s a beach house (believe it or not!). So I get where he was going with it…I just really like these sconces better! That is going to be one FIERCE Bathroom! I have spent days looking for art and rugs and I feel like I’m missing something. I’m going thrifting today and hope top score the magic ticket that pulls it all together.